Considering I stand only five feet tall on my tip-toes, I never would have thought I would have something in common with basketball great Michael Jordan. But we share one thing: failure. I, too, have failed again and again – evidenced by my growing pile of rejections from agents and editors. In his book, “The Last Lecture“, Randy Pausch encouraged his students to “Be the First Penguin”. Students were awarded a stuffed penguin for taking the biggest gamble in trying something new even though it ended with failure. Why a penguin? Because when a group of penguins jump into waters filled with predators, one of them has to go first. And with each failure we gain experience. 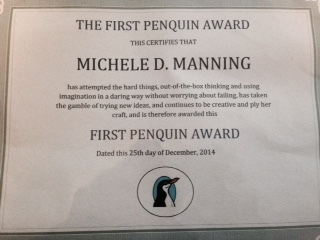 And this First Penguin winner is on her way. 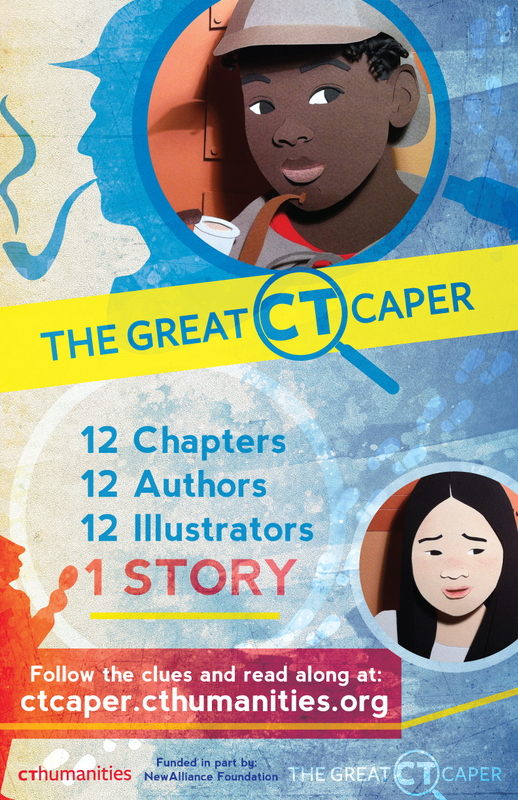 As one of twelve authors selected to write a chapter, I invite you to come along with me in the Great Connecticut Caper, a serialized mystery for children to be published on the Connecticut Humanities website. Join the fun!